The decision of choosing either one page theme or multi page theme for your WordPress site is not such a big deal. You can easily decide it keeping in mind, your organization or company or business and your targets. Multi page themes definitely help you to provide great space for displaying tons of information about general topics, but if you want to target some specific customers for some specific products, you should go for one page theme. Yes it is the choice between general and specific. 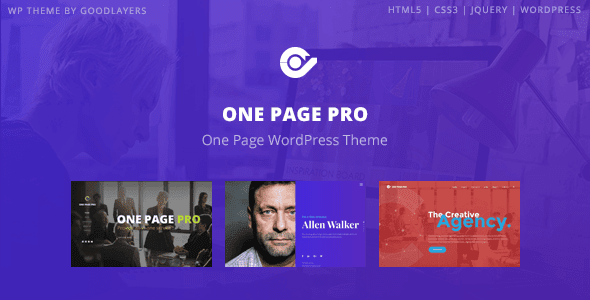 In this article we are going to tell you about top 10 best one page site or landing page themes for WordPress in 2019 for WordPress Website Development. 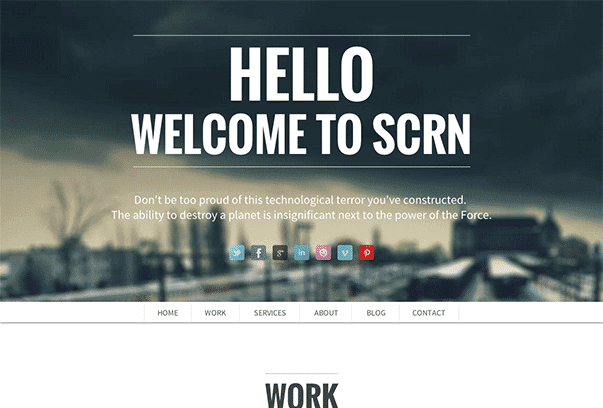 SCRN is an outstanding one page theme for WordPress sites. It is 100% responsive and the best suitable candidate to promote your work or your business. Compatibility with all modern devices is a good plus point. Not only it comes with perfect minimalistic design but it also has a blog. You can add portfolios in business. There is an advanced themes options panel, where you can go and enjoy easy and super customization options. There are lots of visual composers blocks which help you. Navigation bar is sticky. Contact Form is powered by jQuery. Social Icons are also included. There is an easy documentation which would guide you how to use the theme. Sole is a high performance, easy to use and easy to understand one page WordPress theme. Hybrid Composer page builder is used to which enables you to handcraft the look and feel of your website in every way imaginable. It also frees you from need of third party plugins. You will never ever have to write a line of code yourself. Based on Bootstrap, this theme is ideal candidate for high traffic usage cases as it ensures minimal server loads across the board. Sole is extremely like by webmasters who want a landing page website that can effectively channel the traffic generated by marketing campaigns. Or the theme which is capable enough to represent the information in an beautiful and functional manner. SOLE is also wooCommerce ready, and multilingual. 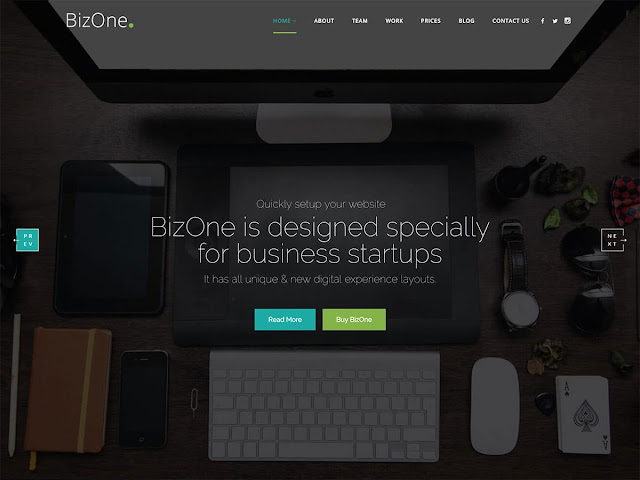 BizOne One Page Parallax Themes suitable for any creative or business themes. There are multiple home layouts and Navigation styles included in this theme. These styles and layouts have lots of CSS and jQuery animations, which makes it perfect theme for Business Startups, web studio and creative agencies. The colorful widgets will help add to the customization according to their branding colors. This theme is perfectly well commented and also have proper help documentation too. This is one of the best selling one page WordPress themes in themeforest. It comes with amazing and fascinating features in efficiently smooth and stunning parallax design. There are more than 14 unique home variations. There are marvelous slides available like Text Slider, Background image slider and full screen slider. There is a circle quote option which helps you to write in circle. You can build modern and mobile friendly presentations for your website in no time. Jarvis is 100% responsive and mailchimp support. There are advanced styling customization features, you can create endless possibilities by changing navigation styles, backgrounds for each section(header,sections, parallax,footer,etc..) with colors,images or patterns. 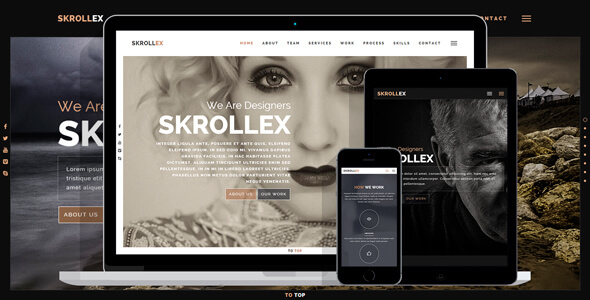 Skrollex is a total multi-purpose one page theme for WordPress. It is creative, one page parallax, responsive theme for portfolio showcase, modern businesses, agency, photography, creative teams, resume, personal use, etc. Some of the best features are scrolling animations, cross browser compatibility, dark and light presets, vimeo video backgrounds, full screen menu, local video backgrounds, animated parallax backgrounds, unlimited colors customization, viewport border and full screen sections. 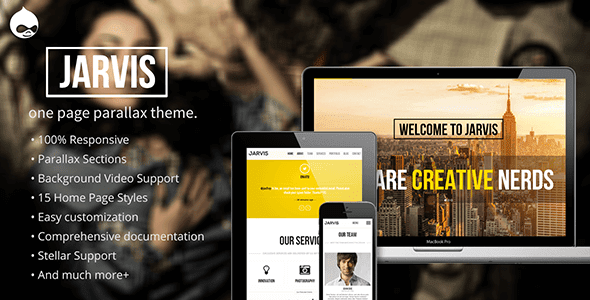 It is an amazing wordpress theme by GoodLayers. It comes with powerful built-in drag and drop content editor. There is a fully customizable demo importer. You can either import only some content or all of them. With total of 19 headers, you can maximize styling possibilities. Advanced Admin panel empowers you to change almost every thing. Like changing site’s layout, header style, color or custom skin etc. You can create your own sidebar for each page. Google Fonts are integrated in the theme. There are 14 blog layouts, 9 portfolio layouts and 6 gallery layouts. Enside is an exclusive and creative business WordPress theme. 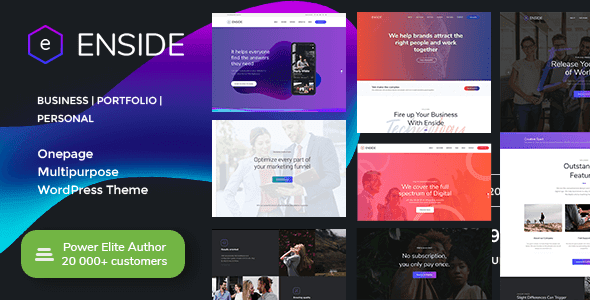 Enside makes it easier than ever to build a stunning one page or landing site that will attract the attention of your customers.It is creative, colorful, versatile and professional one page theme. Enside allows you to build a fully functional and feature rich one page WordPress site, no matter what your agency or business is, without needing to code. 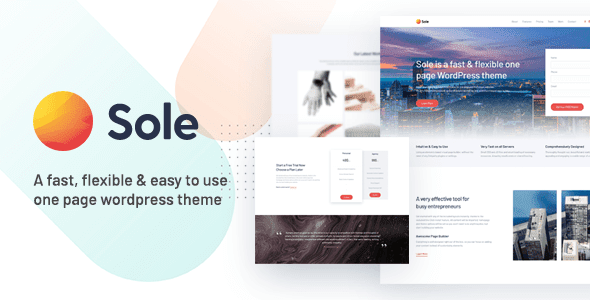 Stunningly beautiful, Enside offers a plethora of pre-built demos, with one-click import, and you can make your site your own using WPBakery Page Builder for WordPress. There are multiple home pages ready to use. 10 stunning one page demos, more than 20 header styles, top and left side header and menu support, multiple footer styles, 9 portfolio item animations, unlimited color themes and dozens of configurable options. Enside is multilingual and cross browser compatible. It is multipurpose, flexible and fully customizable wooCommerce ready theme. 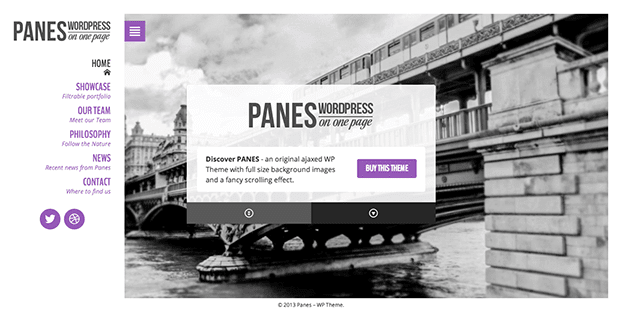 Panes is amazingly unique and different from traditional wordpress themes. But no difference in features and amazing customization options. What makes it unique are full screen background images, clean and elegant design and fancy scrolling effect. It is responsive theme and its skin elements look crisp on retina screens. It is because skin is optimized for retina display. Posts are loaded and powered by AJAX. There is built-in support for 10 social networks. Google maps integration is the best plus. 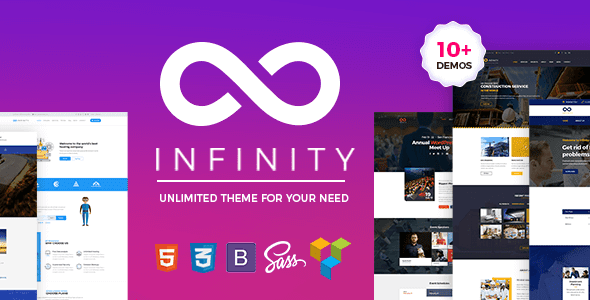 OnePage WordPress Infinity is an excellent one page wordpress theme which can be used for variety of purpose and easily fits for any kind of business. No matter it is corporate, business, finance, support, interior architecture, transportation, construction, event management or non-profit, OnePage WordPress Infinity can just fit into business niche. One click demo install, visual composer, seo friendliness, clean and modern design, smooth transition effects, and redux framework are some of the best features. 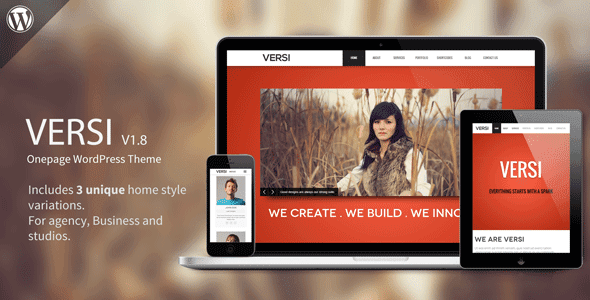 Versi is just the perfect one page template for WordPress. It comes with 2 Home Variations, Light, Dark & Multi-colored Color/Gradient Skins, 2 Navigation styles, fully customizable backgrounds(colors,images or patterns), Font Awesome icons and many more super-awesome features to amuse you and leave the space for you to work on advanced styling options. Versi is 100% responsive. In portfolio section Versi integrates AJAX. If you are looking for Complete WordPress Website Development Packages that include domain name, web hosting and website development, MT Web Sol Quick Shop is here to setup everything for you. Our team has 5 years of experience with Latest Web Technologies and we are proud to serve our valuable clients globally. Get in Touch to discuss your project today! This entry was posted in Wordpress Development, Wordpress Themes and tagged Best One Page WP Themes, Best Single Page Themes, Best Wordpress Themes, Corporate One Pager Themes, Corporate Themes, Landing Page Themes, One Page Themes, Responsive One Page WordPress Themes, Responsive WordPress Themes, Single Page WordPress Themes, WP Themes.